The Oaks at St. Martin: From Charlotte, take Hwy 24-27 East (Albemarle Rd), then turn right onto Hwy 205 South towards Oakboro. Go into downtown Oakboro (you will be on N. Main Street). Then turn left on E. First Street (turns into St. Martin Rd.). Neighborhood will be on right. From Monroe, take Hwy 200 North to right on New Salem Rd. Take New Salem Rd (turns into Hwy 205 North) to Oakboro. At stoplight, turn right onto N. Main Street. Then left onto E. First Street (turns into St. Martin Rd.). Neighborhood will be on right. The Homestead, Lathan's Pond, Hidden Meadows and Appaloosa Pointe: At Hwy 16 (at Weddington) Turn on Hwy 84. Right Rocky River Rd. Cross over Hwy 75. Then immediate left onto Rocky River Road South. Go straight through stoplight at Hwy 200. Now Rocky River Road is called Hwy 522. 2nd right on Lathan Rd for Lathan’s Pond, Hidden Meadows, and Appaloosa Point. Continue straight on Rocky River Rd South, and next right (just past Lathan Rd) on Little Tom Starnes Road for The Homestead. From Monroe. Take Hwy 200 South. Left on Hwy 522. Right on Lathan Rd for Lathan’s Pond, Hidden Meadows, and Appaloosa Point. Right on Little Tom Starnes Road for The Homestead. Laurel Creek: From Matthews take I-485 to Idlewild Rd. exit. At top of exit ramp, go East on Idlewild Rd (towards Stallings and Union County). Go about 4 miles to right on Haywood Rd. Go past Oakstone, then right into Laurel Creek. 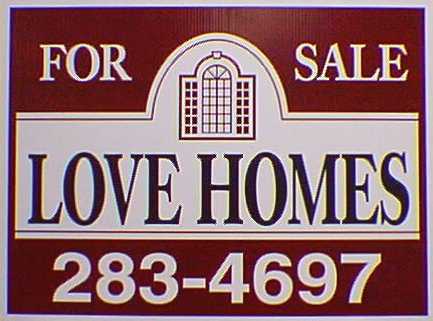 all Wendy Love at (704) 283-4697 or (704) 882-5652 or email to lovehomesnc@gmail.com for assistance.